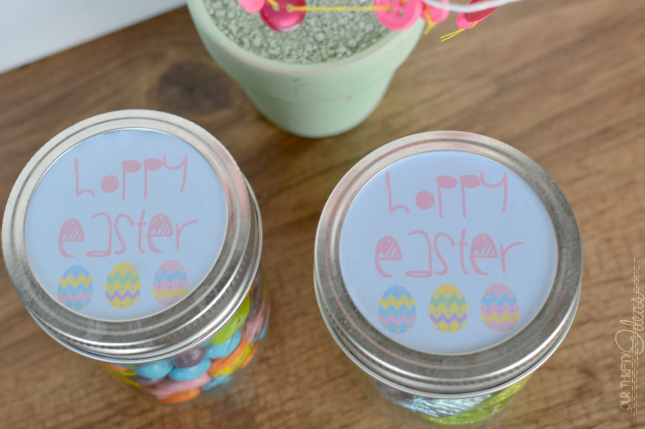 Today I’m sharing a really easy teacher gift for the holiday with this Easter free printable jar toppers. Although my kids aren’t in school yet, they still have teachers at church that they can give gifts to for the holidays. And this is a super simple one that you can whip up in a flash. 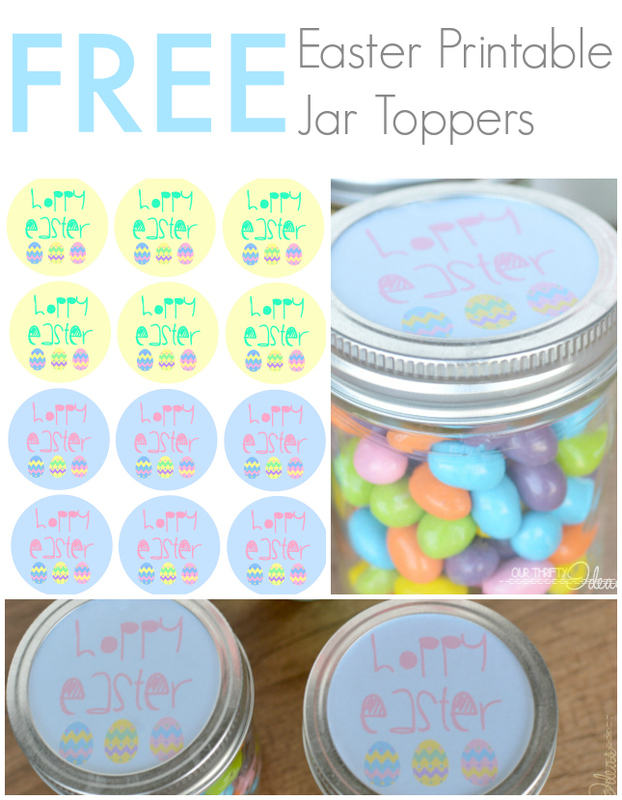 They are 2 1/2 inches, sized for the top of a regular sized mason jar. 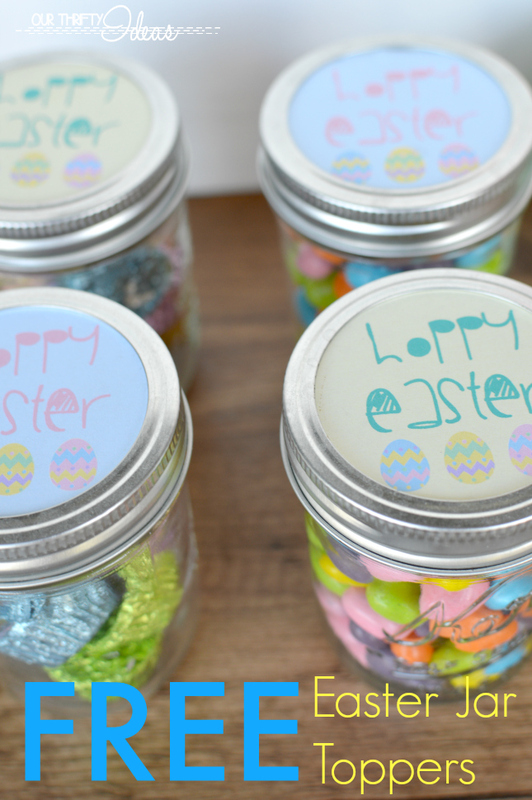 Just cut the circles out using a circle punch or just good ol fashioned scissors. 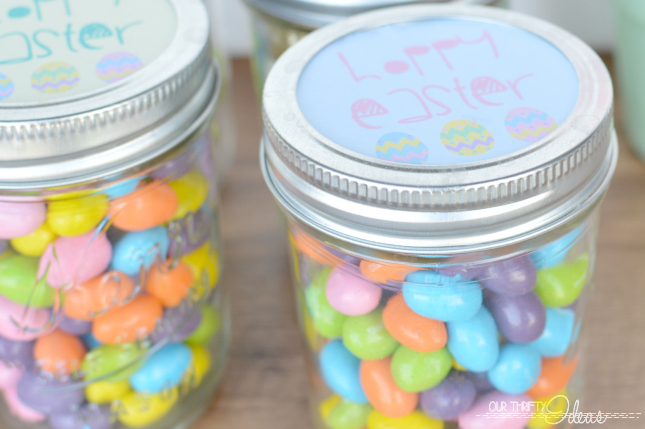 I filled the jars up with starburst jelly beans and other jars filled with mini Reeses cups.